The area premiere of Sarah Ruhl’s “Melancholy Play: A Chamber Musical” at Evanston’s Piven Theatre Workshop is a big event in a small venue, and therein lies a tale. The Wilmette-born Ruhl has been honored by everyone from the Pulitzer and Tony committees to the MacArthur Foundation, PEN and the NAACP. In plays like “In the Next Room, ” “The Clean House,” “Dead Man’s Cell Phone,” “Passion Play” and “Orlando,” Ruhl has established a reputation as an intellectually ambitious writer with a poet’s voice whose works are redolent of myth and fantasy, yet grounded in today’s social and psychic landscape. She is, in short, a hot property, her works sought after by major theaters from Yale Rep to the Arena Stage in Washington, D.C. to our own Goodman. She also has a powerful, life-long connection to the Piven Theatre Workshop, having begun her dramatic training there in fourth grade. At Piven—described by its artistic director Jennifer Green as a “family affair”—Sarah Ruhl followed in the footsteps of her own mother, actress-teacher Kathleen Ruhl, as well as founders Joyce and Byrne Piven’s children, Shira and Jeremy, and such other notables as John and Joan Cusack. 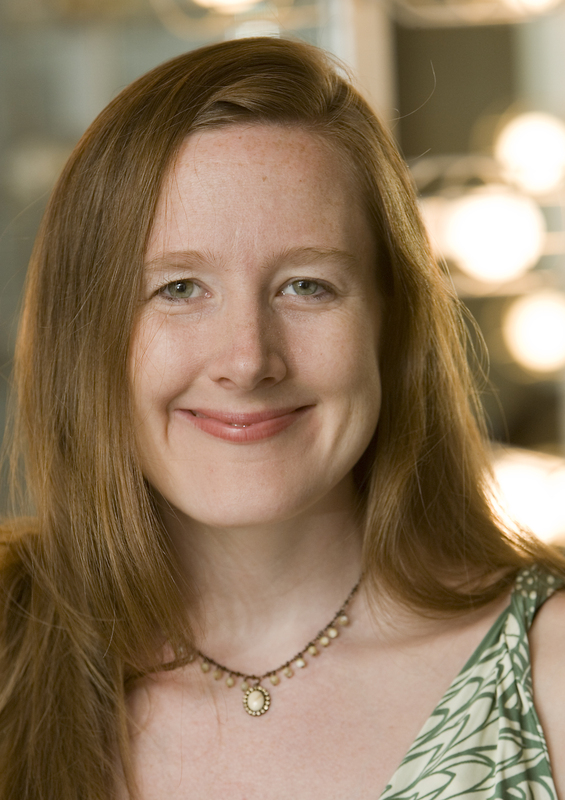 And then there’s fellow Young People’s Company alum Polly Noonan, who is directing the revised “Melancholy Play,” having twice starred as Tilly, the doleful bank teller, in the play’s original, pre-musical iteration at Piven. It’s impossible to talk about “Melancholy Play” outside the Piven context. And it’s equally impossible to describe Piven without noting the intricate web of dynastic connections and artistic lineages at this paradoxical institution, whose ethos is noncommercial and anti-celebrity, yet which has produced a roster of stars and game-changers like Ruhl and her frequent collaborator, writer-director Jessica Thebus. Piven’s origins go back to the seminal theater games developed by Hull House instructor Viola Spolin in the 1930s. Equally influential is Spolin’s son Paul Sills, who along with David Shepherd and others merged his mother’s games with Brechtian dramaturgy to create both modern improv and narrator-driven story theater. The Piven Theatre Workshop is more than a school or stage; it is a living institutional memory of the Chicago theater tradition. And not just any actors. Raised in the Spolin-Sills tradition of theater as community, Ruhl feels lucky to have her Piven posse behind her. “Melancholy Play: A Chamber Musical” premiered in 2012 in a bare-bones, no-critics-allowed run at the now-defunct 13P theater in Brooklyn, with music by New York composer Todd Almond. It’s based on a straight dramatic work that premiered a decade earlier. Set (inevitably) in Normal, Illinois, the play pits what Ruhl calls the “chipper pragmatism of the Midwest” against Tilly’s Hamlet-like gloom, illuminating in humorously surreal fashion the unhappy consequences of mandatory joy. The new version was born soon after the twins, when Ruhl wished to work with Almond on a musical but lacked the time to start from scratch. While Noonan describes the play as “beautiful, strange and funny, embracing its own silliness,” it has a serious side, questioning our culture’s discomfort with the darker emotions. The play’s theme of emotional fullness and authenticity intersects with Ruhl’s history at Piven, with its emphasis on nurturing self-expression within an artistic community. While every show lives or dies on its own merits, knowing the history and connections behind a theatrical event like “Melancholy Play” enriches the experience, rooting it in time and place, and so transforming it from a diversion into something deeper and more real. “Melancholy Play: A Chamber Musical” runs May 2-June 7 at Piven Theatre Workshop, 927 Noyes, Evanston, (847)866-8049, piventheatre.org, $20-$35.